55-Foot Digital Trump Billboard Debuts In Times Square - Joe.My.God. 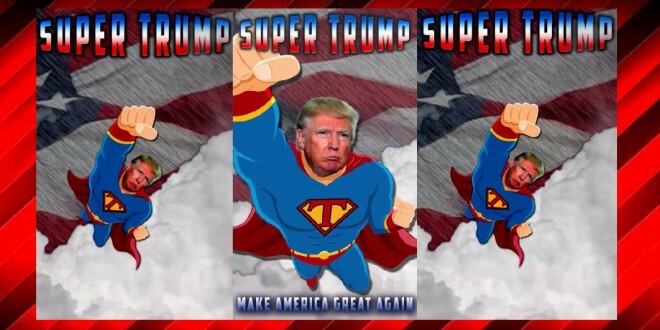 It’s a bird, it’s a plane, it’s Super Trump! A day after rival Hillary Clinton fell ill at the 9/11 ceremony at the World Trade Center, a pro-Donald Trump SuperPac is launching a digital ad in Times Square depicting Trump as Superman. The video shows Trump — with a big red T on his chest — flying through clouds with the American flag in the background. The 55-foot digital billboard sponsored by the Committee to Restore America’s will run from Sept. 13-16 and the following week along the I-4 Corridor in Central Florida. The billboard is on Broadway between 46th and 47th Street. The Super Trump costs a super $25,000, according to Trump adviser Roger Stone. Conservative filmmaker Joel Gilbert, who produced the video, said the depiction of Trump contrasts with Clinton’s health woes. “Donald Trump has the stamina to be president,” Gilbert said. 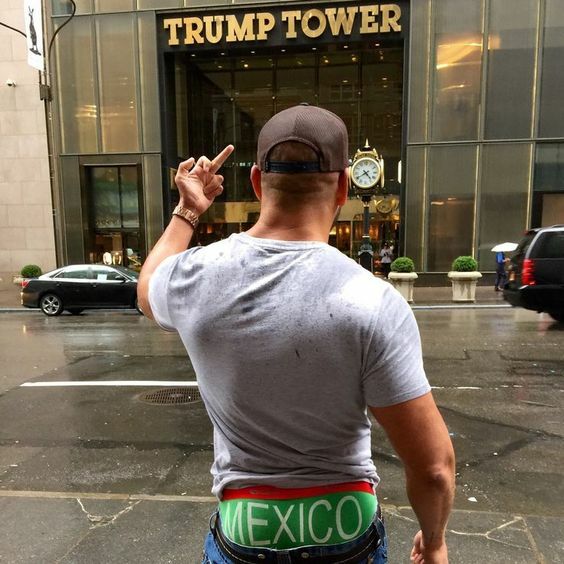 Add it to the list of Trump-branded sites for New Yorkers to take flipping-off selfies.